Find supplements to your Bob Books sets here! Download and use them along with the books for enriched success when helping your children learn to read. 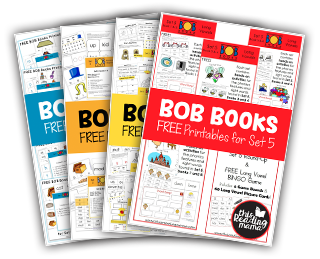 Each printable pack contains hands-on and developmentally appropriate activities to work on phonics patterns as well as sight words that are introduced in each Bob Book set.